Sultanahmet neighborhood stands out in Istanbul with its numerous beautiful boutique hotels. Sultanahmet has become a favorite spot for tourists thanks to the boom in the tourism sector in the 1980s and a lot of historical mansions have been restored and converted into hotels since then. Most of the historic structures from the Ottoman Empire date back to the 19th century. The examples of such structures at Sultanahmet are traditional Ottoman houses while European style neo-classical and baroque architecture are the characteristics of Beyoglu district. In the previous post titled “The Best Hotels in Istanbul Beyoglu”, the hotels reflect the cosmopolite way of the 19th century in details. In that post, you can find the best hotels at Karakoy, Galata, Pera, and Taksim neighborhoods. 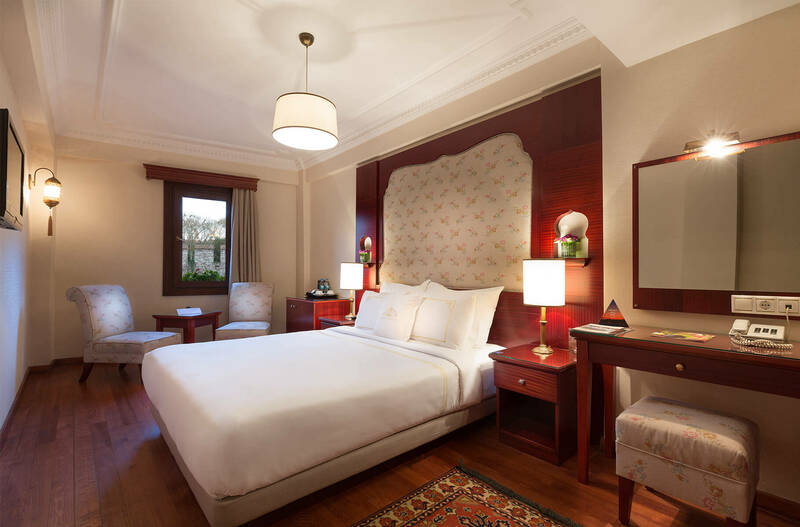 In this post, we’ve made a list of the best hotels in Sultanahmet area by taking the reviews on travel websites like TripAdvisor and Booking.com into consideration. We hope this post will help you make a decision if you choose to stay in Sultanahmet area. Four Seasons Hotel was converted from a building left from the Ottoman era. A movement named the 1st National Architecture Movement began during Ottoman Empire’s last years and the characteristics of the above-mentioned movement can be seen clearly at Four Seasons Hotel. This building is a mixture of the Ottoman and Seljuk architecture. We should also note that the examples of such a style can be frequently come across in the Istanbul Old City. Four Seasons won a prestigious The Best Hotel of Europe Award in terms of customer satisfaction. The hotel has an amazing garden right in the middle of the square-shaped building, which has the best tones of the green. You can enjoy your breakfast or brunch in this garden that boasts open and closed areas. In summer, the restaurant on the hotel’s terrace also serves its guests. Considering the beauty of the colors and the architecture of the building, it definitely comes as a surprise to find out this hotel was once a prison. After all Four Seasons is considered as one of the Best Hotels to Stay in Sultanahmet. Hotel Amira is located nearby Catladikapi Gate that the drivers use to arrive at Sultanahmet via the coast road. Therefore, this is the hotel for the guests who love running in the morning. Moreover, it is a walking distance to Kumkapi which is famous for its fish restaurants. Hotel Amira attracts attention due to receiving great reviews from its visitors. The hotel has a successful management along with the helpful and kind staff. No wonder why its visitors feel warm and comfortable during their stay at Hotel Amira. Five minutes walk from Hotel Amira will be enough to reach Arasta Bazaar, the Museum of Great Palace Mosaics and Blue Mosque. It can easily be said that in terms of price/performance, Hotel Amira is one of the best hotels to stay in Sultanahmet area. Sirkeci Mansion Hotel is just a few steps away from Gulhane Tram Station. You can easily reach Topkapi Palace’s gate that opens to Gulhane Park. When you enter this gate, you can walk inside Gulhane Park or visit Istanbul Archeology Museum. 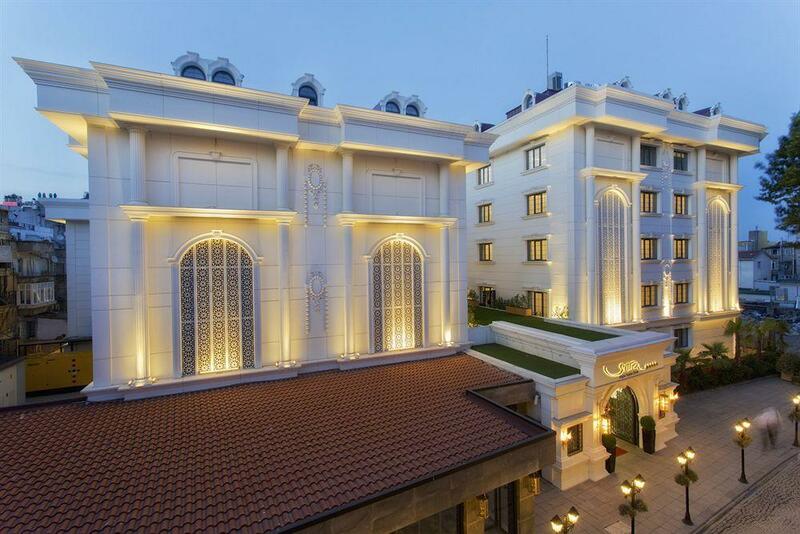 Sirkeci Mansion has been dubbed as one of the best hotels at Sultanahmet for the past 10 years. This is reflected by the fact that the hotel is in the top ranks on any hotel booking websites in terms of customer satisfaction. 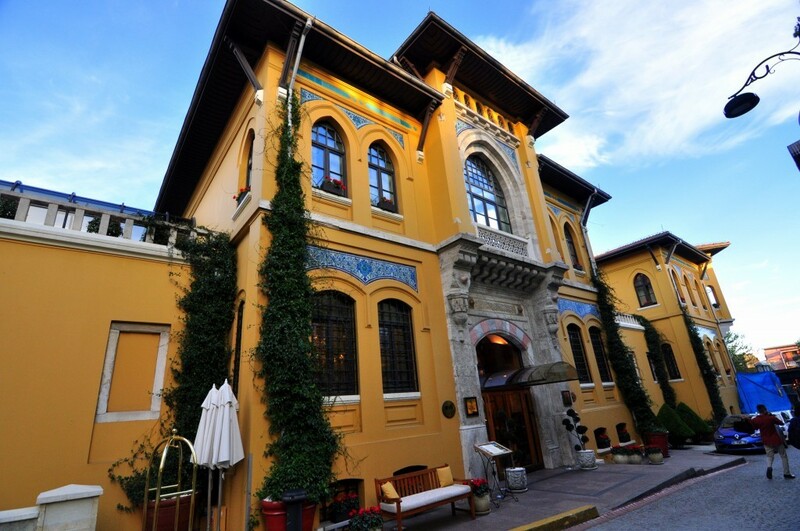 Sirkeci Mansion Hotel offers a nostalgic atmosphere with its old Ottoman Mansion look, but it boasts 52 modern rooms. Neorion Hotel is really close to Sirkeci Tram Station. The hotel is at a very central location in the neighborhood and it’s equally close to Eminonu, the way to reach the Old City and Sultanahmet which is surrounded by historical structures. Although it gives one the feeling that it is trapped in a narrow area, Neorion Hotel stands out among many other hotels in the neighborhood with the features it offers, such as offers such as a swimming pool, sauna, Turkish bath, and library. Neorion is also a beautiful hotel that combines the past and today with a cool design. Neorion Hotel is also one of the Best Hotels to Stay in Sultanahmet location wise. When you enter the lobby of Hotel Empress Zoe, you don’t realize that it’s indeed a secret gem. 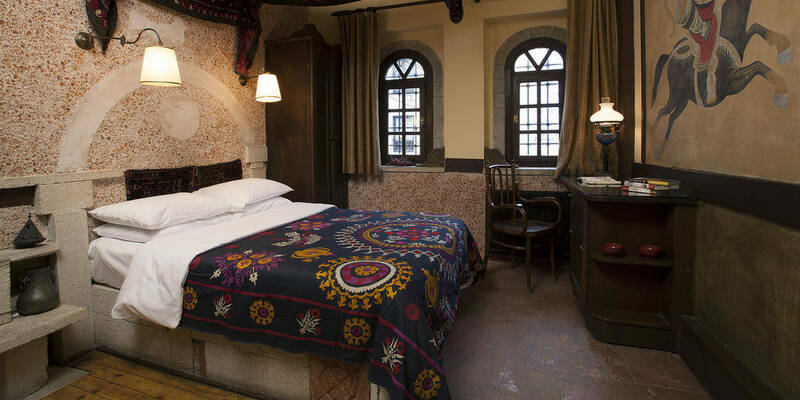 This hotel is bordered by the ancient ruins of a Turkish Bath House (Ishak Pasha Hamam) from the 15th century and it literally creates a historical atmosphere. Moreover, spending time in its garden feels like having a time travel among architectural ruins. Hotel Empress Zoe boasts 25 rooms and its rooms are decorated with the fancy images on its walls from Turkish history, furniture, and fabrics. The design of the hotel that reminds its visitors of the Seljuk, Byzantine and Ottoman eras is really enticing for history lovers. The tourists visiting Istanbul for culture tourism are strongly advised to stay at this hotel and take a travel in history. Additionally, Hotel Empress Zoe is equally praised by the foreign press, which is also a good indicator that proves Hotel Empress Zoe is a smart choice. White House Hotel is one of the best hotels at Sultanahmet that attracts the biggest attention. The hotel performs incredibly well on platforms like Booking.com and TripAdvisor and it stands out thanks to its friendly staff and service quality. In return for its positive approach, the hotel’s visitors show their appreciation via their high points and great reviews. White House Hotel is only a few minutes’ walk away from historical sites like Basilica Cistern and Hagia Sophia. Therefore, you will have a chance to return to your hotel quickly after visiting the historical structures in the neighborhood. As the hotel is only 5 minutes’ walk from Sultanahmet Tram Station, it’s really easy to visit Galata Tower, Istiklal Avenue, and Taksim Square too. Adamar Hotel is a neighbor of White House Hotel that we mentioned above. Thus, Adamar Hotel holds the advantage when it comes to location. However, Adamar Hotel has a feature that makes it unique among its competitors. The hotel offers a breathtaking 360 degrees panoramic Istanbul view that none of its competitors can match. 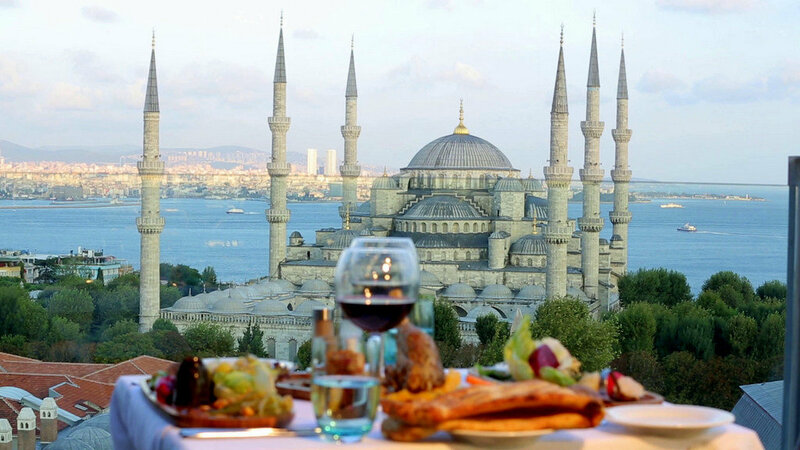 Due to being one of the tallest buildings at Sultanahmet, the hotel offers an amazing view on its terrace. On a beautiful spring day, you can have an unforgettable breakfast on Adamar Hotel’s terrace or take a coffee break from taking photos of Istanbul. Adamar Hotel is on Yerebatan Road where Basilica Cistern is located. Although its rooms are a little smaller compared to the other hotels on our list, its’ price policy solves this small issue. Levni Hotel is a neighbor to Istanbul Provincial Hall. The hotel is right in the middle of Cagaloglu Street that connects Sirkeci to Sultanahmet and it is located on a great spot for the tourists who opt for public transport. As soon as you exit Levni Hotel, you can walk down to Marmaray Station that enables passengers to cross Asian side of Istanbul. Moreover, Sirkeci Tram Station is just 5 minutes walk away from the hotel. The hotel draws attention with its elegant exterior architecture and as the name suggests, it’s also a spa center. Levni Hotel&Spa is no doubt one of the best hotels in Sultanahmet considering the reviews and high scores it receives from its customers. 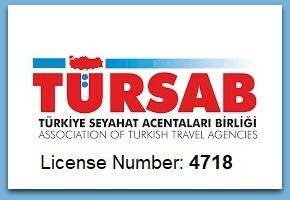 Sura Hotel is one of the few five-star hotels at Sultanahmet. The hotel boasts 231 rooms and it’s literally in the heart of Sultanahmet. Despite being a relatively new hotel, the hotel holds a good position on travel platforms like TripAdvisor. 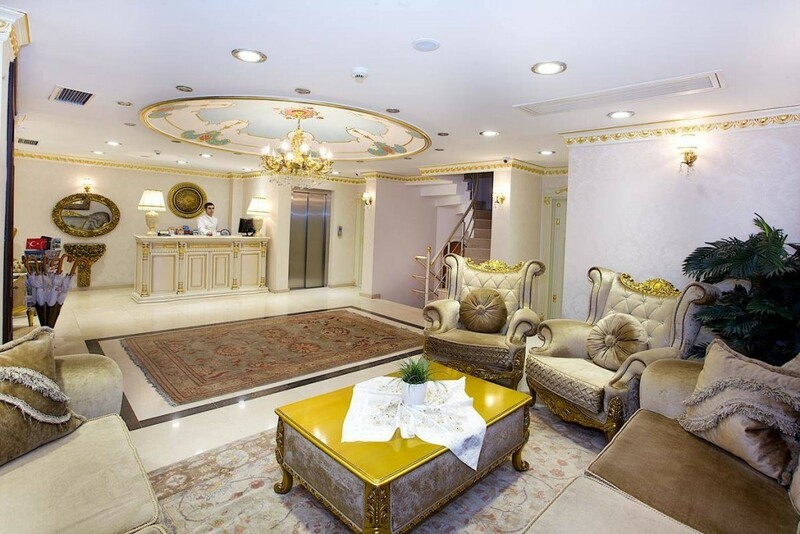 Sura Hagia Sophia Hotel is only five minutes walk away from the historical structures like Hagia Sophia and Blue Mosque and it’s located on Ticarethane Street that is famous for its restaurants. Hotel Sultania is one of Sultanahmet’s relatively new hotels. However, it’s already on the list of the best boutique hotels in Sultanahmet thanks to its location and amazing architecture that must have required great dedication and work. The hotel’s design is worthy of the atmosphere in the Istanbul Historic Peninsula and handmade furniture of high craftsmanship quality and functional rooms. The hotel is located at one of Sirkeci’s central points. Therefore, it’s walking distance to both Eminonu and Sultanahmet. Yasmak Sultan Hotel is one of the oldest hotels in the Sultanahmet area. Despite its 50 years’ of history, the hotel is successful at reflecting a modern hotel concept with its cool design. The hotel is just two minutes’ walk away from Gulhane Tram Station and it’s located right in the middle of Sirkeci and Sultanahmet. 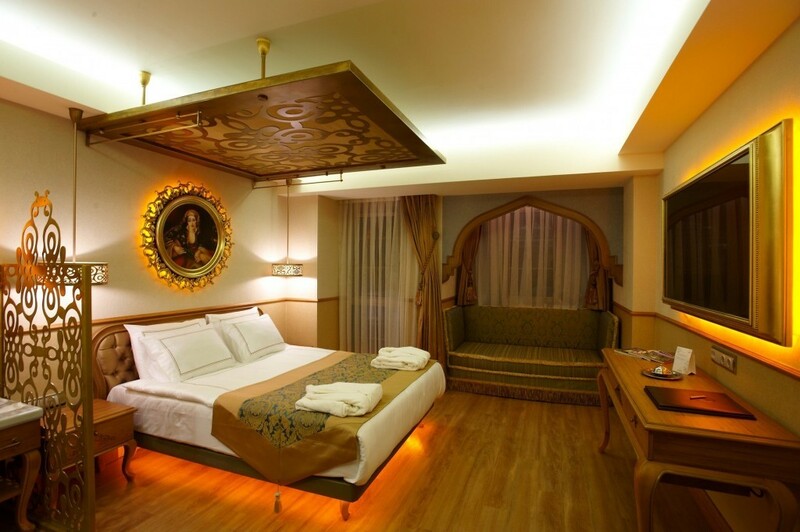 Yasmak Sultan is in the top ranks of the best 4 star hotels in Sultanahmet. Hotel Arcadia Blue attracts the attention thanks to being just five minutes walk away from Sultanahmet Tram Station. 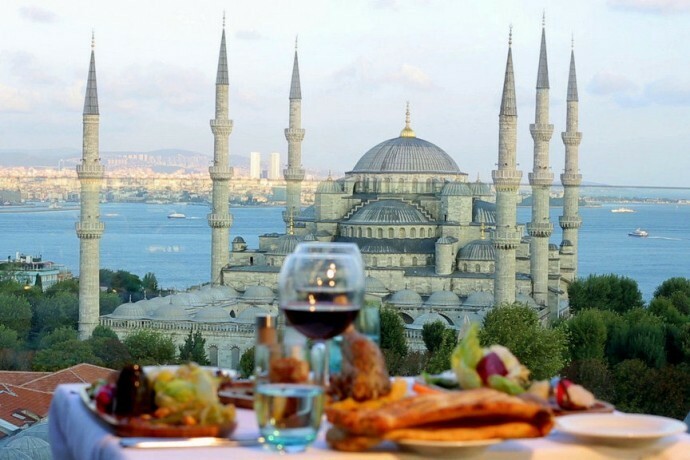 The hotel is a neighbor to the historical structures like Hippodrome of Constantinople and Blue Mosque. 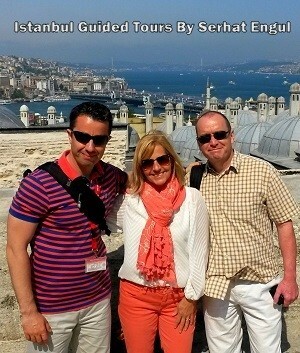 It also offers a majestic view of Istanbul on its terrace. Despite being one of the oldest hotels in the neighborhood, Hotel Arcadia Blue is a modern hotel that has been restored numerous times. The hotel creates contrast with its modern style in the Istanbul Old City that is under the impact of classical architecture. Arcadia Hotel is a quite elegant and comfortable hotel and undoubtedly it’s one of the most centrally located hotels in Sultanahmet district. 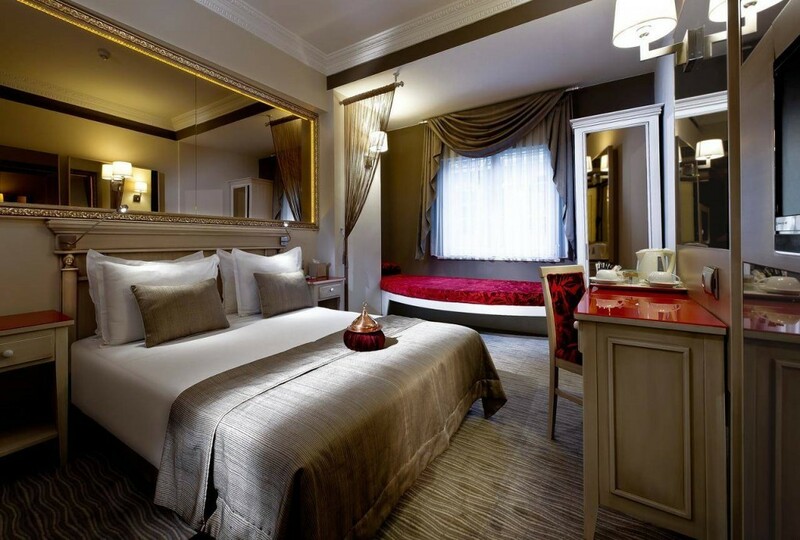 Therefore Arcadia is one of the Best Hotels to Stay in Istanbul Old City.